This 63-year-old white woman is about to tell ya'all to shut up. Who are ya'all? You know who you are? Bigoted, racist, intolerant people who find it a challenge to get out of bed every day and put their pants on, one leg at a time. They are hampered by their own limitations, in spite of their determination to claim supremacy on account of their race. Rachel Meghan Markle is a former American actress who will walk down the aisle at St. George's Chapel as a mere Miss and come out, on the arm of her new husband, as a royal highness and a member of the British royal family. 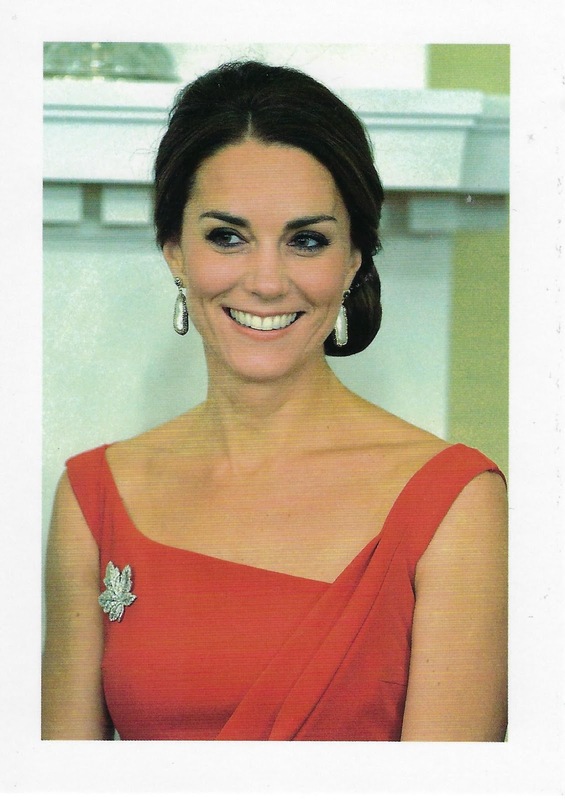 It is one thing to call the Duchess of Cambridge as Waity Katy. It is far worse to hurl racist comments, nasty tweets and Facebook posts and goodness knows where else (I do not want to know, actually, if you really want to know) at Miss Markle ... and this abuse is being hurled by ignorant, racist, bigoted, intolerant - and let me add, poorly educated, human beings, as well as being tired and boring people who are unable to hold their own with intelligent conversations. Miss Markle is bi-racial. Her mom is an African-American and her father is white. According to a 2017 Pew Research study, the number of mixed-race Americans is growing faster than the actual US population. In the 1970s, a mere one percent of the American population was mixed race. Now it is more than 10 percent. I say hurrah. The US Census Bureau predicts that by 2060, the number of mixed-race Americans will be three times larger than it is now. I say hurrah. According to 2014 National Office of Statistics report, the number of mixed-race households in the United Kingdom has reached 12% and is also growing. I say hurrah. As a Germanic, I am about as white as anyone can be. Do I see myself -- or any other white person -- as special or better than someone of another race or creed or even religion? No! As a devout Lutheran, I believe that my faith is the right path to heaven, but I understand and accept that people of other faiths believe the same thing. Are they wrong? Of course not. I am so white that my foundation (makeup) colors are Cool Vanilla or Cool Ivory (No 7 is the brand, in case you are interested.) At least, I am a cool white person ... after I slap on the makeup. Jesus was Jewish. He died Jewish. We don't know what Jesus looked like, but we can assume that he did not have blond hair and blue eyes. More likely, he had dark eyes, dark hair, and olive skin. It his color does not matter - it is what he preached that matters. The attacks on Miss Markle are not confined to Twitter or Facebook, but also in the British media. Yes, I am looking at you Daily Mail. This morning, one writer began her article by writing that Miss Markle had "ditched" her trousers and wore a dress today at the Royal Foundation event, joining Prince Harry and the Duke and Duchess of Cambridge. Why was it necessary to write this. The fact that Miss Markle wore pants to several engagements is not relevant to the story. I am nearly certain that Mail writers, especially those who write for the online edition of the newspaper, are encouraged to write with a hint of salacious combined with a suggestion of innuendo. I took several J-classes as an undergrad. One of the first things a J-student learns is how to write a news story: WHO, WHAT, WHERE, HOW & WHY? If it works for a New York Times writer, it will also work for someone at the Daily Mail. How many times do the tabloids have to say that Meghan is straight out of Compton (a not-so-nice neighborhood in Los Angeles) without checking facts? Miss Markle grew up in the rather nice neighborhood called Baldwin Hills in Los Angeles. Miss Markle was educated at private schools starting with the Little Red Schoolhouse in Hollywood. She attended Immaculate Heart High School in Los Angeles. This is Roman Catholic high school, but Miss Markle has never been a Roman Catholic. More non-Catholics - and even non-Christians - attend Roman Catholic schools in the United States, than Roman Catholics. In 2003, she graduated from Northwestern University with a BA in theater and international studies. How many of her abusers could handle a double major, or get admitted into Northwestern University? Miss Markle is a confident, well-educated, well-read woman, who is in love and is loved by a very popular prince. She has been welcomed into the royal family with open arms. She has been a tireless worker for several charities so she will have few problems in taking on new challenges as she becomes a working royal. She represents what is good about being an American. She is not Wallis Warfield Simpson. It is important to appreciate and acknowledge that Miss Markle is bi-racial. She is not an English rose or a Greek princess. She is a mixed-race American - and that is something we all should celebrate. Yes, celebrate diversity - because a diversity makes us great. Ditto the United Kingdom. The fact that I am white does not make me a better American. It makes me appreciate that the United States is an amalgam of people from all over the world -- and the same can be said for the United Kingdom, but not with the same numbers. Only 3% of Britain's population is black compared to 14% in the United States. I realize that the racial epithets and intolerant and ignorant comments will continue because the hurlers get great pleasure out of celebrating their own ignorance. It is time, however, to call them out. Report the posts. Retort with facts .. and kindness. The same should be applied for "journalists" who spew out innuendo-filled articles. 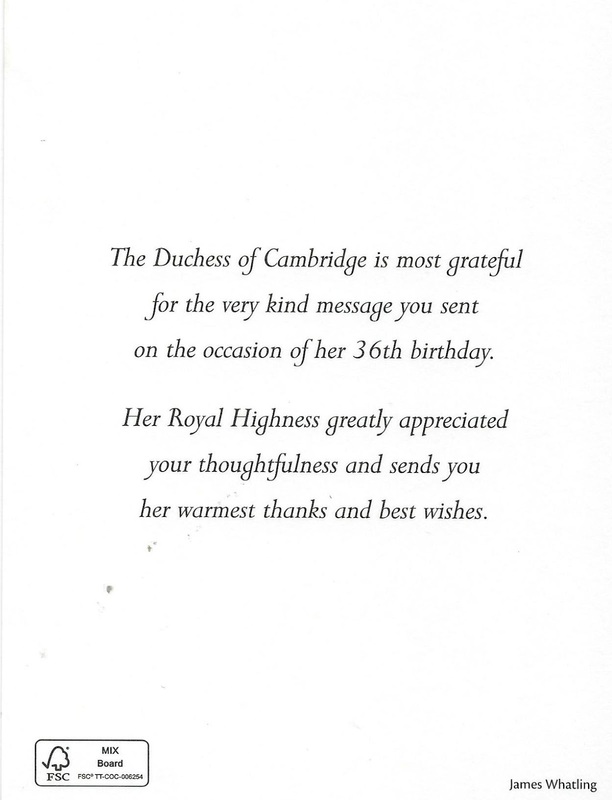 (I am certainly not talking about the journos who cover the royal family 24-7). Let's celebrate that an awesome American is going to become a member of the British royal family. Meghan said it best: "My dad is Caucasian and my mom is African American. I'm half black and half white. ... I have come to embrace [this and] say who I am, to share where I'm from, to voice my pride in being a strong, confident, mixed-race woman." Prince Carlos with his sister, Princess Anna, on her wedding day, June 1, 2013. @Ulrike Bartsch. HSH Prince Carlos Patrick Godehard of Hohenzollern died by suicide on February 23. He jumped from the roof terrace on the 21st floor at Frankurt-am-Main's Intercontinental Hotel. The 39-year-old prince had been released from jail a few days before where he had served a four-year sentence for swindling. He had been serving his time at the Euskirchen prison and was due for release in July. As a part of his preparation for a full release in July, Prince Carlos had been allowed a brief break away from prison. He left the prison and drove more than 200 miles to Frankfurt. It is not known if Carlos had checked into the hotel. He went to the roof terrace and jumped. His body was found at 2:40 p.m. His death was instantaneous. Frankfurt police have ruled out the death as an accident. Prince Carlos Patrick Godehard of Hohenzollern was the elder of two children of the late HSH Prince Godehard-Friedrich Karl Anton Heinrich Albrecht Joseph Ernst Egon Hermann Johann Georg Rudolf Tassilo Benedikt of Hohenzollern (1939-2001) and Heide Hansen. Carlos was born in Munich on December 4, 1978. He grew up at the family's home, Burg Namedy, in Andernach. Prince Godehard had inherited the 14th century following his father, Prince Albrecht's death in 1977. Burg Namedy was purchased in 1908 by Carlo's great-grandfather, Prince Karl-Anton of Hohenzollern, who was married to Princess Josephine of Belgium. Karl-Anton was the youngest of three sons of Prince Leopold of Hohenzollern and Infanta Antonia of Portugal. His eldest brother, Wilhelm, succeeded as Prince of Hohenzollern and his second brother, Ferdinand, succeeded, their uncle Carol I (ne Karl), of Hohenzollern. Prince Carlos frittered away his inheritance with numerous bad business deals, which to several convictions. In 2011, he was sentenced to four month's probation for non-payment of a bill to one of his creditors. Three years later he was sentenced to four years for "dealing in multi-million pound investment funds which did not exist," according to the Daily Mail. He is survived by his mother, Princess Heide, and his younger sister, Princess Anna, who is married to Roman Goldschmidt. Anna helps her mother run the Namedy estate. Prince Carlos was a member of the most junior of branches of the princely house of Hohenzollern-Sigmaringen. The present head of the princely house, HSH Karl Friedrich of Hohenzollern, a great-grandson of Wilhelm, Prince of Hohenzollern, elder brother of King Ferdinand of Romania, and Prince Karl Anton, Carlo's great-grandfather. The late Prince Carlos was a member of the Princely family of Hohenzollern-Sigmaringen, the Roman Catholic branch of the Hohenzollerns. It was the Brandenburg -- and Lutheran - branch of the family that had were Kings of Prussia and Emperors of Germany until 1918. The Princes of Hohenzollern had ruled their tiny principality in southwestern Germany until 1850 when Hohenzollern was annexed by Prussia. Following the death of the Prince of Hohenzollern-Hechingen in 1869, Karl Anton dropped Sigmaringen from his title and became Prince of Hohenzollern. This Brandenburg branch of the family came to the Brandenburg throne in 1415, and converted to Lutheranism during the Reformation. During the next few centuries, their power base eventually evolved into the Kingdom of Prussia and the German Empire. Thanks to Ulrike Bartsch for allowing me the use of her photograph of Prince Carlos and Princess Anna. The statement is printed, but a lovely gesture from HRH Princess Eugenie and Mr. Jack Brooksbank. On Friday, February 23, the new Romanian Prime Minister Mrs. Viorica Dancila joined HM Margareta and HRH Prince Radu for lunch at the Elisabeta Palace. 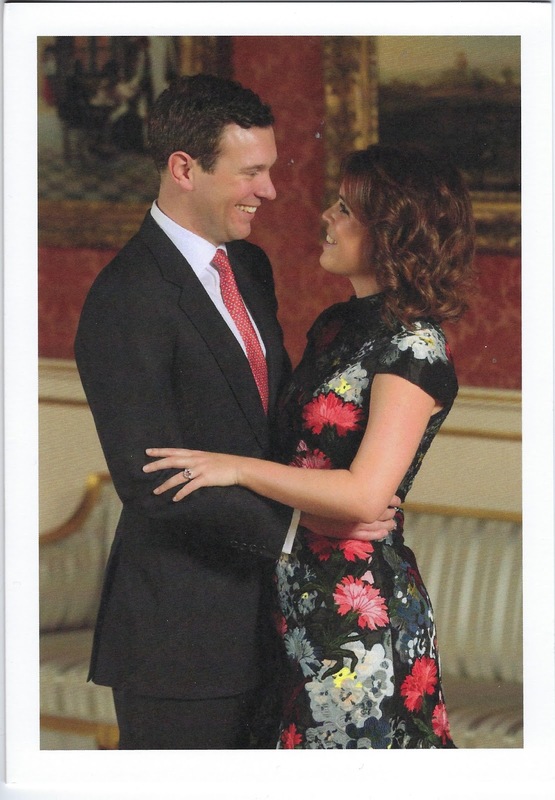 This was the first meeting between the new Prime Minister and HM Margareta. According to the Romanian Royal Family's website "Her Majesty and the Prime Minister discussed topics relating to the public activities of the Royal Family to promote and support the Romanian presidency of the Council of the European Union, from January to June 2019; the continuation of numerous projects and events dedicated to the centennial years of 1918 and 1919; relations with the Republic of Moldova,as well as economic and diplomatic relations with countries outside the European continent." 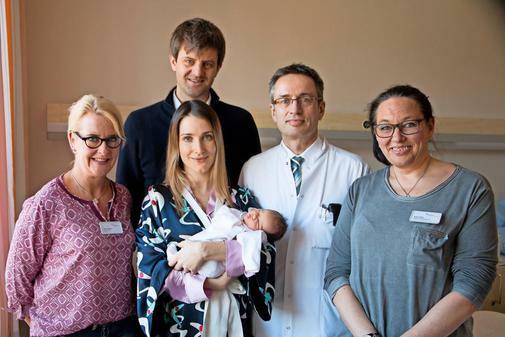 The Hereditary Princess Ekaterina of Hannover gave birth to a daughter on February 22 at the Henriettenstifts hospital in Hannover. The little princess will be named Elisabeth. Her full name will be announced at her baptism. Hereditary Prince Ernst August told the Hannoversche Allgemeine newspaper: "With my whole family I am very happy and grateful for the birth. 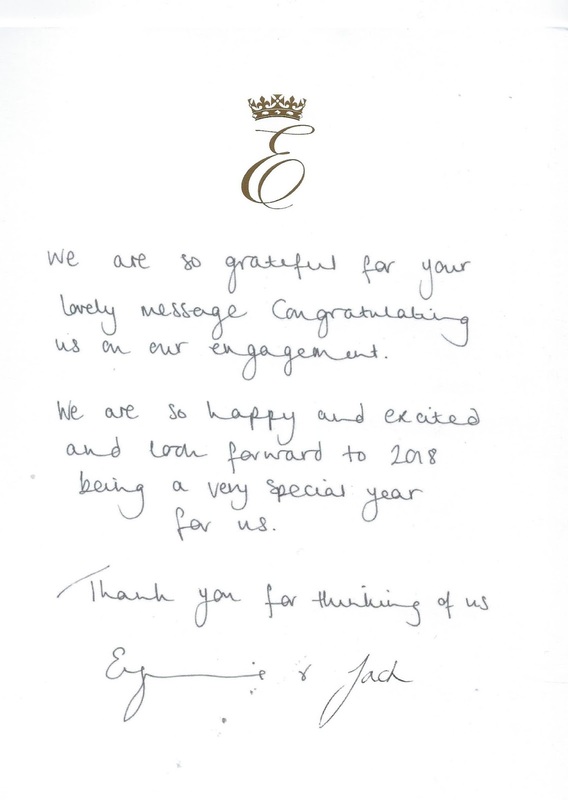 My wife and I would like to thank the Henriettenstifts team for the friendly and competent care." The Hereditary Prince and Princess moved from London to Hannover in January. They are living in the Fürstenhaus at Herrenhausen in Hannover. The hospital was built with the support of Queen Marie of Hannover, the wife of King Georg V, the great-great-great-great-grandparents of Princess Elisabeth. The hospital was named for Queen Marie's grandmother, Princess Henriette of Nassau-Weilburg. The hospital was funded by the late Princess Henriette's estate. This is the first grandchild for HRH The Prince of Hanover and his first wife, Chantal Hochuli. Belgrade, 25 February 2018 – Their Royal Highnesses Crown Prince Alexander and Crown Princess Katherine announce with joy that the Royal Family just gained a new member. 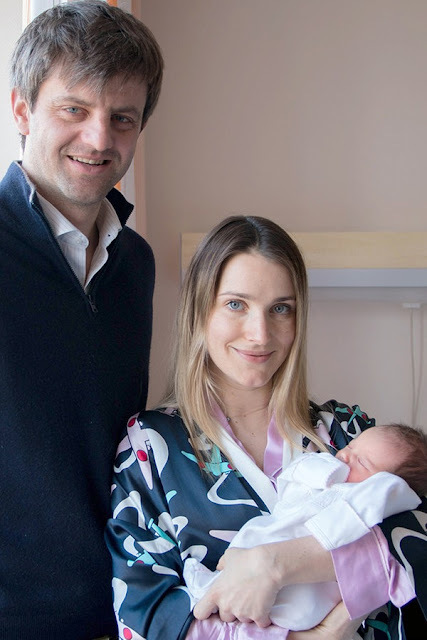 HRH Princess Danica, the wife of HRH Prince Philip, gave birth to a male child, in Belgrade on Sunday, 25 February 2018 at 10:30 am. With the blessing of His Holiness Patriarch Irinej of Serbia, the bells of Belgrade’s St. Sava temple rang as a signal of the birth of the newborn of the Karadjordjevic Royal family, and this was the first time in history that 49 bells of the biggest orthodox temple in Balkans will announce such a birth. The new prince has been named Stefan. He was born at the Medigroup Hospital in Belgrade. Plans for the baptism are being made. Photos should be released in a day or two. 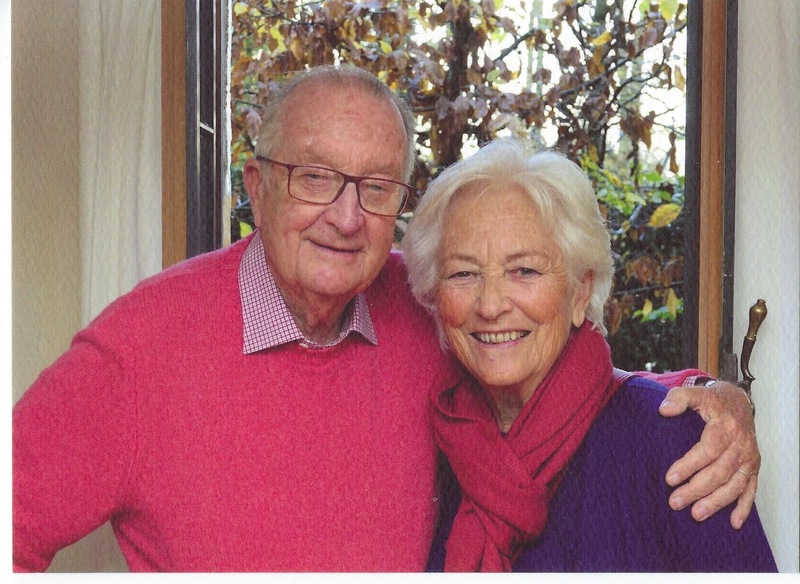 The Duke and Duchess of Aosta. These three cards are new additions to my collection. I wish the first card included more information including when it was published or where it was taken. Pope Pius has granted a papal dispensation for the marriage of exiled King Michael of Romania and Princess Anne of Bourbon-Parma, reports United Press. He granted the dispensation during a private audience with former Queen Helen of Romania and Princess Margrethe of Bourbon-Parma, the mothers of the groom and the bride. Vatican sources state that the "dispensation was necessary" because Michael is a member of the Orthodox Church and Anne is a Roman Catholic. The Pope agreed to the marriage "with the customary condition" that the couple's children will be raised as a Roman Catholics. Alexander Zoubkoff, the husband of Princess Victoria of Schaumburg-Lippe has apparently forgotten a promise he made a few days ago to his wife "to observe an early curfew while he was in Berlin alone with his money in his pockets." According to the New York Times, Zoubkoff has not followed his wife's advice and is now facing "a charge of assault on a page early this morning in a West End bar." This action could lead to Zoubkoff, who is thirty years junior than his wife, being deported from Germany as an "undesirable foreigner." Princess Victoria left Berlin earlier this week. Her husband remained behind "for further negotiations for his proposed transatlantic flight with his wife as a passenger." But while his wife is away, Zoubkoff has been spending a lot of time at the Casanova Club, with friends of both sexes, leading a "gay life, drinking, singing and dancing." He arrived at the Casanova Club shortly after midnight already intoxicated, and had more to drink before he prepared to leave at about 3 a.m. A page tried to assist Zoubkoff with his cloak, but the inebriated Russian thought he was trying to listen to a conversation he was having with a lady companion. He ordered the page to leave the room, but the page explained that he was under orders from the manager to stay in the room. Zoubkoff then "struck" the young man in face, knocking him down to the floor and "immediately began kicking him. He was arrested by the police and taken to the local police station where he was determined to be very drunk. The police discovered that Zoubkoff's passport had expired in December and he had not renewed it. He was charged with "violating the regulations for foreigners and fined 300 marks." Zoubkoff has been stateless since the Russian revolution and holds a Nansen passport granted by the League of Nations. As Zoubkoff's wife, Princess Victoria has the same status and can be deported as well due to her husband's "violation of the law." It is not known if officials will "exercise their prerogative" in this matter. Princess Patricia of Connaught has been appointed as "honorary Colonel in Chief" of the 'Princess Patricia's Canadian Light Infantry, according to a London dispatch to the Reuter's Agency in Ottawa, Canada. It was in August 1910 when the Canadian Defense Minister, Sam Hughes stated: "With the approval of the Imperial Government authority is given for the raising of one Infantry Regiment to be named 'Princess Patricia's Light Infantry." The new regiment was named for the younger daughter of Canada's Governor General, HRH The Duke of Connaught. The latest rumor about Princess Patricia of Connaught that has Britain reveling in the "love affairs of that elusive young beauty," concerns a possible engagement with the Count of Turin, reports the Los Angeles Times. Those "best acquainted with the young woman's peculiarities" are convinced that the Count will have "no better luck with his wooing" than others who have "sought in vain to attach the matrimonial halter to the young princess." She has "upset all traditions" by refusing to allow her uncle, King Edward VII, or her parents to arrange a marriage. This golden haired princess, "with large soulful eyes" and a marvelous complexion," has driven several suitors to despair. King Alfonso XIII pursued her to no avail. After one look at him, the young princess turned to her father, the Duke of Connaught and allegedly said: "I simple won't marry that horrid little man; so there." Alfonso XIII found another princess in England: Patricia's first cousin, Ena of Battenberg. 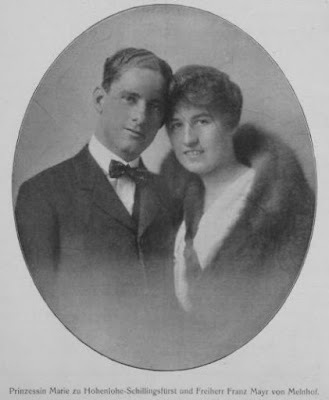 They married in May 1906. There were reports that King Edward VII wanted her to marry the young Crown Prince Luis Filipe of Portugal, who was assassinated with his father, King Carlos I, on February 1. The young Crown Prince was only 20 when he was killed. Grand Duke Michael of Russia, the younger brother of Nicholas II, and Prince Eitel Friedrich of Prussia, the second son of Kaiser Wilhelm II, had also expressed interest in marrying the Duke of Connaught's youngest child, but, again, the independent-mined princess said no. 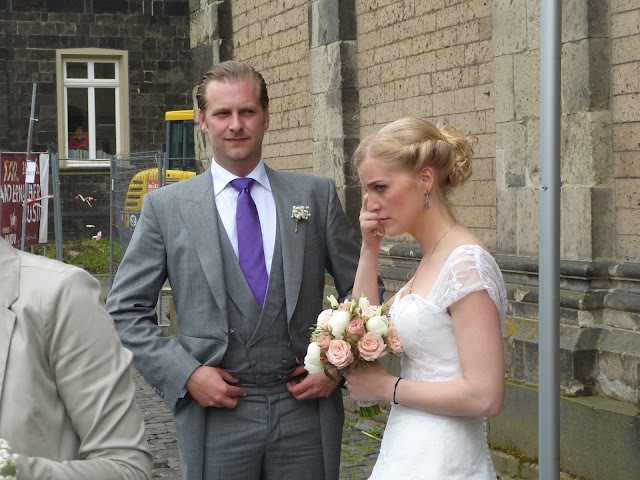 Two years ago, Eitel Friedrich married Duchess Sophie Charlotte of Oldenburg. Grand Duke Michael remains unmarried. 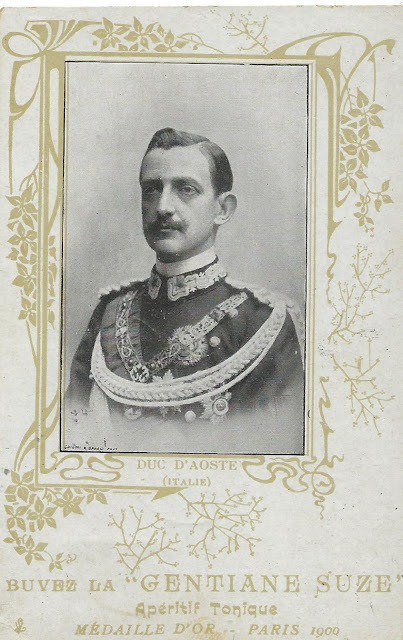 The Count of Turin - HRH Prince Vittorio Emanuele of Savoy-Aosta -- is a cousin of King Vittorio Emanuele III. His father, Prince Amadeo, Duke of Aosta, was King of Spain from November 1870 until February 1873. The Count is 37 years old and a Roman Catholic. He is unlikely to win Patricia's heart. Prince Henrik of Denmark's funeral was held earlier today. It was a private family funeral with no foreign royal guests. 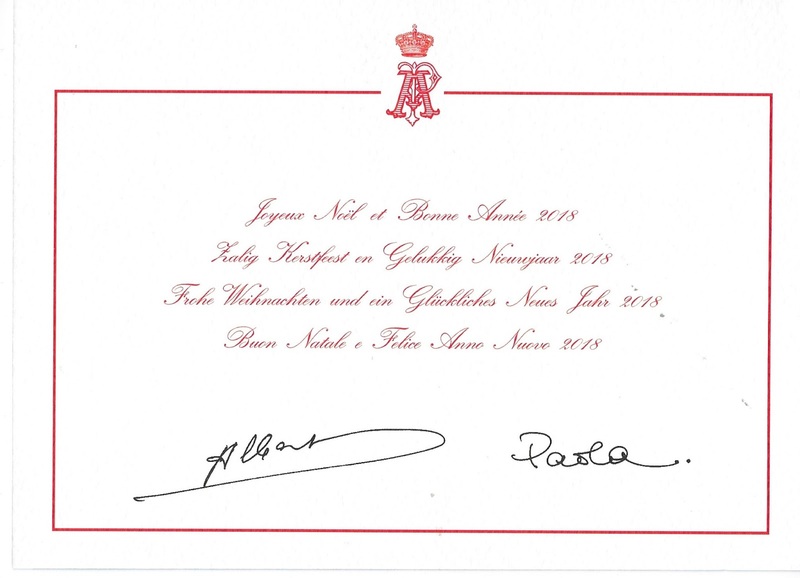 His wife's nieces and nephews (the children of Princess Benedikte and Queen Anne Marie) did not attend. Here is the guest list. I normally do not write about fashion, but I really, really like the Duchess of Cornwall's pink coat .. I really, really like it. It's pink. The Prince of Wales and the Duchess of Cornwall were in Yorkshire today carrying out several engagements. The Duchess paid a visit to Haworth and the Bronte Parsonage Museum in Haworth, West Yorkshire. This was home of Charlotte, Emily and Anne Bronte -- and 2018 in the 200th anniversary of Emily Bronte's birth. Emily wrote my favorite book of all time, Wuthering Heights and Charlotte is the author of my nearly favorite book of all time, Jane Eyre. The Royal couple also visited the Piece Hall, in Halifax, a former cloth hall into a cultural and heritage center. They stopped into several shops, including the Yorkshire Soap Co., where the Prince of Wales expressed interest in a Gingerbread man soap. Take a look at the Yorkshire Soap company's website. So many lovely handmade (in Yorkshire) soaps. There are only 5 shops and all are in Yorkshire. The company does accept mail orders within the United Kingdom, the Channel Islands, Isle of Man and Europe. For more details of Camilla's visit to Haworth, here is a link to Victoria Howard's coverage as she was one of the accredited press. 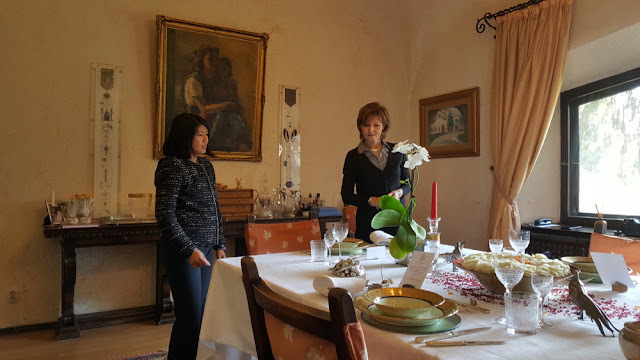 A Chinese education for Princess Amalia? Dad says no. 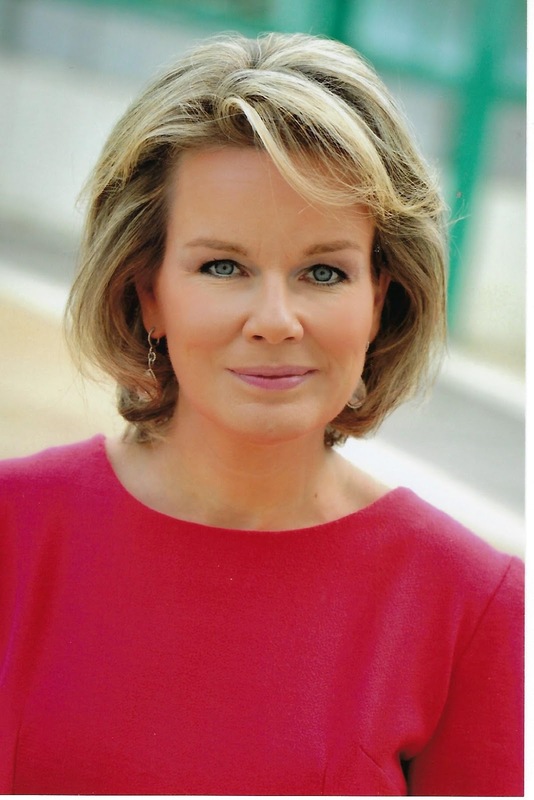 The Dutch newspaper, De Telgraaf, is reporting that the Princess of Orange, the eldest of the three daughters of King Willem-Alexander and Queen Maxima of the Netherlands, will be attending the United World College in Changshu school in Changshu, China. Princess Amalia, the heiress apparent to the Dutch throne, has been studying Chinese for several years. King Willem-Alexander attended the Atlantic College in Wales, which was the first United World College, founded in 1962. The then Prince of of Orange attended the school for two years. Several days ago, the school's website had a Dutch-language announcement that read "the registration for the 2018-2020 school semesters is closed." This announcement was made to stop the "influx of 'fortune seekers' " who wanted to be in the same class as the future Queen of the Netherlands. The King and Queen had wanted to find a school in the Hague, but they have agreed to send Amalia to China for the final years of high school. However, it is now too late for other students to join her. The RVD has not confirmed the information. But King Willem-Alexander has called the report a "total nonsense story." The King made the comment at the Noordbrabants Museum in Den Bosch, where he opened an exhibit. The King said he read about the news when he made a stopover in Paris after flying en route home from South Korea, where he and Queen Maxima had been cheering on the Dutch athletes. He said he was "surprised" by the report in De Telegraaf. He telephoned his eldest daughter to find out what she thought about the report. Amalia apparently laughed "very loudly" in response to his question. Princess Amalia, 14, is a student at the Christelijk Gymnasium Sorghvliet. The king said his very happy at the school. One royal correspondent said that "it is very remarkable that the king responds to a rumor." The usual reaction is a no comment reaction from the palace. February 15 10:00 am -- Prince Henrik's mortal remains will be taken from Fredensborg Palace to Amalienborg. February 16, 6:00 p.m.: Prince Henrik's coffin will be moved to the Palace Church at Christansborg to be placed in a castrum doloris (this is the structure that accompanies the bier). February 16 10:15am - Members of the Danish royal family will visit the castrum doloris at the Palace Church. February 17 3:00 pm - 7:00 pm - Members of the public will be allowed to pay their respects at the Palace Church. February 18 12:00 - 7:00 pm: Members of the public will be allowed to pay their respects at the Palace Church. 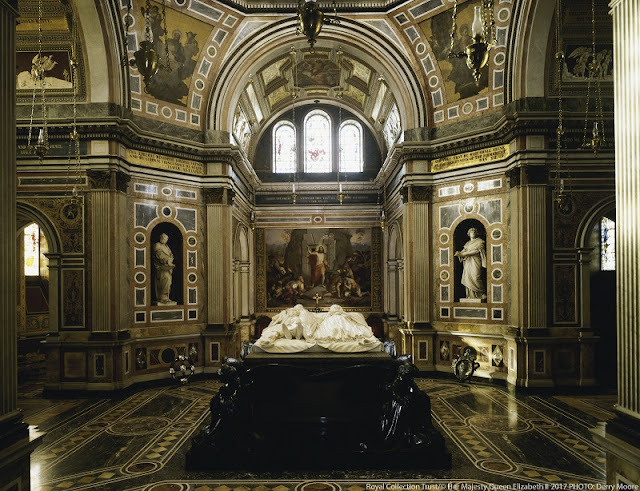 19 February, 1:00 pm: Specially invited guests will pay their respects at the Palace Church. 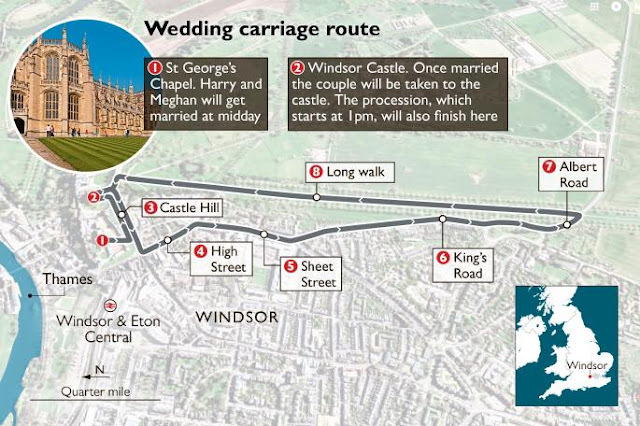 February 19 3:00 pm - 7:00 pm: Members of the public will be allowed to pay their respects at the Palace Church. February 20,11:00 am - The funeral of Prince Henrik will take place in the Palace Church, attended by family and close friends. It will not be a state occasion. This means there will be no foreign royals attending the funeral. In accordance with His late Royal Highness's wishes, his body will be cremated and his ashes later scattered privately on Danish waters and interred in the gardens at Fredensborg. Prince Henrik's funeral will be held on February 20 at 11:00 am at the church at Christianborg Palace in Copenhagen. In accordance with the late prince's wishes, the funeral will be private and not a state occasion. Only the prince's family and friends will be attending the funeral. He will be cremated and half his ashes will be scattered into Danish waters and the other half will be buried in the royal private garden at Fredensborg Palace. The prince was diagnosed with dementia last September but had been ill health for several years. His Royal Highness Prince Henrik died on Tuesday, 13 February 2018, and it has been decreed that the Court will be in mourning from today until Wednesday, 14 March. In the period of mourning, Her Majesty The Queen and the Royal Family and the Court will not participate in social or entertainment events. During the Court mourning, dark clothing will be worn at public appearances. Personnel in uniform will wear black armbands on the upper part of the left arm. Court mourning is the designation for a shorter or longer period of mourning at the Court in connection with a death in the Royal Family. The length of the mourning time is determined by the sovereign. From today until Tuesday, 20 February between the hours of 09.00-17.00, condolence lists will be placed at the gate of Det Gule Palæ, Amaliegade 18, Copenhagen. 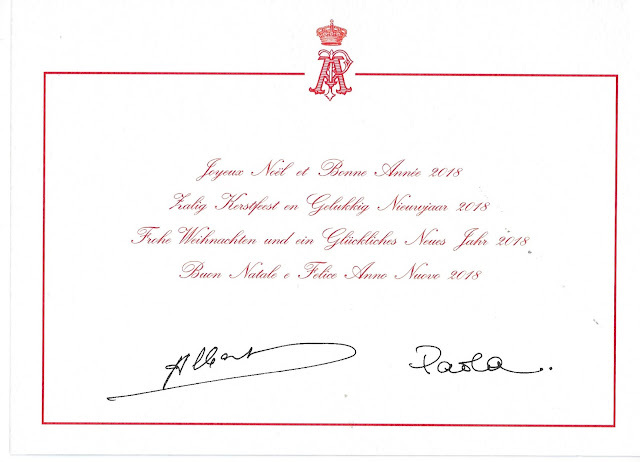 The Danish royal house is reporting that Prince Henrik of Denmark, consort of Queen Margrethe II, died peacefully in the presence of his family, at Fredensborg Castle. He died on Monday night, February 13, 2018. 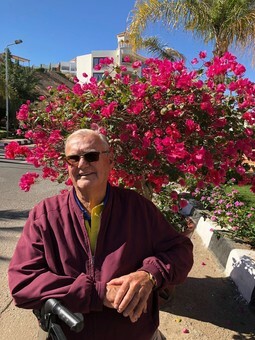 "His Royal Highness Prince Henrik died peacefully in his sleep Tuesday 13 February at 11.18pm, at Fredensborg Palace. Her Majesty the Queen and the two sons were at his side." Funeral plans will be announced in the next few days. Price Henrik was 83 years old. His Royal Highness Prince Henrik has today been transferred from Rigshospitalet to Fredensborg Castle, where the Prince wishes to spend his remain days. The condition of the Prince remains serious. Queen Margrethe II has canceled a number of her forthcoming engagements and is staying at Fredensborg Castle with her husband. Princess Maria Galitzine, daughter of Prince Piotr Galitzine and Archduchess Maria Anna of Austria, and her husband, Houston chef Rishi Singh are the parents of a son, Maxim Singh, who was born on February 10, 2018, at Houston. Kensington Palace has released more details for Prince Harry and Miss Meghan Markle’s wedding on May 19. This photo of HRH The Duke of Aosta and myself at the Elisabeta Palace in October 2011 for King Michael's 90th birthday was sent to me earlier this week by the photographer. I cannot imagine what we were talking about. The condition Royal Highness Prince Henrik has unfortunately worsened. His Royal Highness The Crown Prince has thus discontinued his stay in South Korea, where he was attending the Winter Olympics. The Danish Court has no further information. Sophie is the eldest of three children of Paul Brandram and his first wife, Jennifer. She married Humphrey Voelcker on February 11, 2017. Paul Brandram is the only child of Princess Katherine of Greek and Denmark, youngest child of King Constantine I of the Hellenes, and Richard Brandram. Sophie is a goddaughter of Queen Sofia of Spain. Maximillian was born at the Portland Hospital in London. "Buckingham Palace is undertaking significant works to preserve and restore Queen Victoria’s final resting place in the aftermath of a 2009 hearing chaired by Sir Edward Leigh MP. The Royal Mausoleum at Frogmore contains the tomb of Queen Victoria, Britain’s second-longest reigning monarch, and her husband Prince Albert, but has been closed to the public since 2007 after it was declared structurally unsound. “I can’t help but think it would be good for historical awareness for the building to be in good condition and open to the public,” the MP of more than three decades’ service in the Commons continued. The case of the Royal Mausoleum was singled out during a 2009 hearing of the Public Accounts Commission while the Gainsborough MP served as Chairman of the parliamentary spending watchdog. Sir Edward Leigh said that he was pleased to hear of the full programme of works planned for the mausoleum. “I hope one day it will be better known,” Sir Edward commented, “and I am glad to see further substantial restoration will commence shortly.” "
Queen Victoria Eugenia arrived in Spain today for the first time since April 1931, when the Spanish monarchy ended after Republicans won the election, the New York Times reported today. The 80-year-old queen, "a regally erect figure in a full-length mink coat with a match turban, arrived at Barajas airport to the "cheers of about 15,000 devoted monarchists." She is in Madrid to "act as a godmother" at the baptism of her great-grandson, Infante Felipe. The baptism ceremony will take place tomorrow. Once "considered the most beautiful queen in Europe," Victoria Eugenia, known as Ena, is the widow of King Alfonso XIII, who died in 1941. Alfonso left Spain aboard a British warship on August 14, 1931, when Spain was declared a republic. The Queen left the following day with her cousin, Princess Beatrice, the wife of the king's cousin, Infante Alfonso of Orléans-Borbon. The Queen's third son, Don Juan, the Count of Barcelona, the 54-year-old "exiled pretender to the throne" is also in Spain for his grandson's baptism. 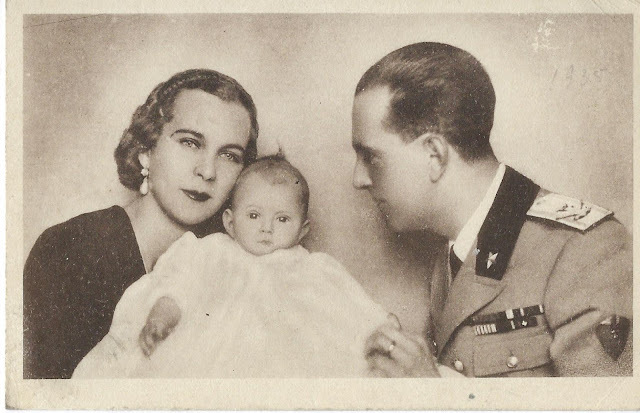 The Count of Barcelona's son Prince Juan Carlos, the father of the infant prince, lives in Spain, with his wife, Princess Sofia, the elder daughter of the late King Paul of Greece. Although Spain is legally a kingdom since the end of the Spanish civil war, the country has been run by Francisco Franco. The "great question" in Spain is whether or or not Franco will name Prince Juan Carlos as his successor. General Franco and his wife will attend the baptism at Zarzuela Palace. They also were present for the baptisms of Juan Carlos' two daughters, Infanta Elena and Infanta Cristina. Queen Ena, a granddaughter of Queen Victoria, is staying at the Lira Palace, the home of the Duke of Alba, while her son is at the Zarzuela Palace with his son and his family. She has lived in Lausanne, Switzerland, for many years. She arrived in Madrid from Nice, France, having stayed for a month in Monaco with Prince Rainier and Princess Grace. The queen was born Princess Victoria Eugenie Julia Ena of Battenberg, the daughter of Princess Beatrice and Prince Henry of Battenberg. She was born on October 24, 1887 at Balmoral Castle. 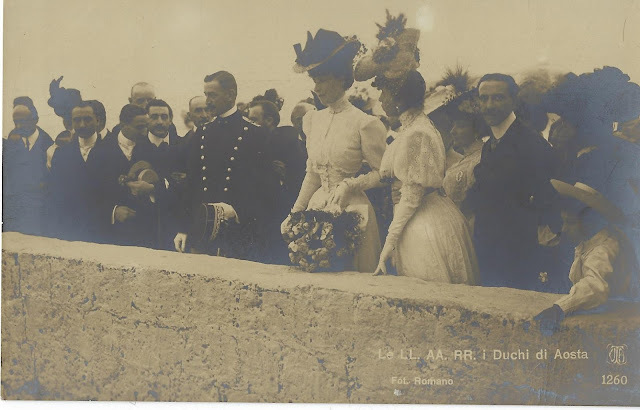 The marriage between Princess Ena and King Alfonso XIII took place at Madrid on May 31, 1906. Is the Duchess of Windsor expecting an heir? The French newspaper, Paris Soir, is reporting that the Duke and Duchess of Windsor have moved into the Chateau de la Maye at Versailles for six months and "that the Duchess is expecting a child." 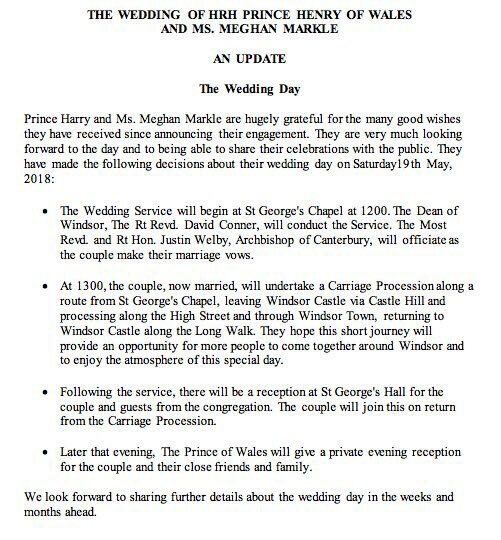 "The Duchess is awaiting the happy event, but it is still some time off," the newspaper stated, according to United Press. However, the Chicago Tribune's reporter believes the report of a pregnancy is doubtful. A false alarm, in fact,. The Tribune reports that the "rumor is apparently based on the fact" that the couple moved earlier today from the Hotel Meurice to the Chateau de la Maye and it has been suggested that that the reason for the move is due to the Duchess of Windsor's alleged pregnancy. "prove anything one way or another." The Tribune's correspondent did check a few of his sources, while not conclusive, suggest that the duchess is not pregnant. It has been "reliably reported" that the duchess' "dressmakers and masseuse, who massage her twice a week, " dispute the rumor. Crowds have "loitered" all day outside the chateau, which is heavily guarded by the police. Princess Marie Franziska Anna of Hohenlohe-Waldenburg-Schillingsfürst is engaged to marry Baron Franz Mayr von Meinhof, the "very wealthy owner of the Donawise iron foundries in Styria, reports the New York Times in a dispatch from Amsterdam. The princess is the fourth of six children of Prince Konrad of Hohenlohe-Waldenburg-Schillingsfürst and Countess Franziska von Schönborn-Buchheim. Her eldest brother, Prince Alfred, was married in December 1916 in Washington, D.C., to an American Catherine Britton. Her younger sister, Princess Franziska, was married last November to Archduke Maximilian of Austria, the younger brother, of Emperor Karl. 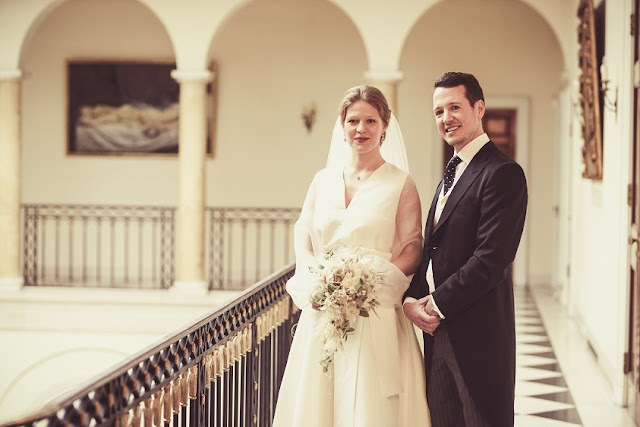 The newly married Crown Princess Frederica of Greece is becoming "firmly established in her new role" as the future Queen of the Hellenes, the New York Times is reporting. She has "captured the fancy and conquered the hearts of many who were perhaps indifferently disposed" before her marriage to Crown Prince Paul, the heir to the throne. The former Princess Frederica of Hanover, only daughter of the Duke and Duchess of Brunswick-Lüneburg, has a "simplicity of manner and graceful acceptance of her position in her new adopted country." According to one observer, the Crown Princess "puts on no airs." Even before her marriage, the young princess began to learn modern Greek, which is for many people "an undertaking." One question not yet answered -- and one that has less interest in the country -- will the Princess relinquish her Lutheran faith and be received into the Greek Orthodox faith like her great-aunt Queen Sophie (her late mother-in-law)? This question has not been answered. She will certainly adopt "the customs of the country" and take part in public events. She will also "stimulate a wider interest in sports," as she has an active interest in sport. The name Frederica is not known in Greece. It has been reported -- but not confirmed -- that she will be known as Margarita, which is one of her nine names (Friederike Luise Thyra Viktoria Margarita Sophie Olga Cecilia Isabella Christa). The princes is "nominally of German nationality," which could bring about "a sentimental German orientation" in Greece's relationship with other countries. But according to recent reports, the princess' family has never been "partial to the present German regime." The Romanian Royal House and the Romanian government have reached a temporary arrangement regarding the Elisabeta Palace in Bucharest. 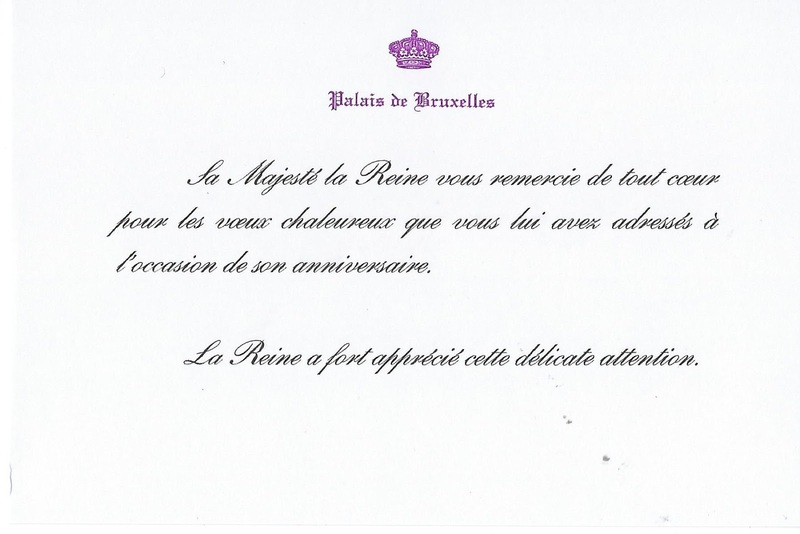 HM Margareta and Prince Radu will continue to live at the palace and will pay a monthly rent to the government. A final decision regarding the palace will be made after Parliament votes on the Statue of the Royal house. No date for this vote has been set. The decision regarding Elisabeta Palace will be made by the government, however. The president of the Chamber of Deputies, Liviu Dragnea, who supports the legislation, said late Thursday that the new Prime Minister Viorica Dăncilă has a more pleasant view on allowing HM Margareta and her family to continue to live at the palace, at least for the time being. Why does Elisabeth Palace have a meaning in our years? Princess Elizabeth of Romania, the first daughter of King Ferdinand and the Queen Maria, built in Bucharest, next to Herastrau Park and in the immediate vicinity of the Village Museum, a residence whose construction was entrusted to an architect aged just 24 years, Corneliu M. Marcu. The work began in 1935 and was completed in 1937. Nowadays, a bronze plate is placed on the outer wall of the entrance tower, to the left of the large wrought iron gates, and on the plate are indicated the years of construction, as and the year of the birth and death of the architect: 1911-1991. 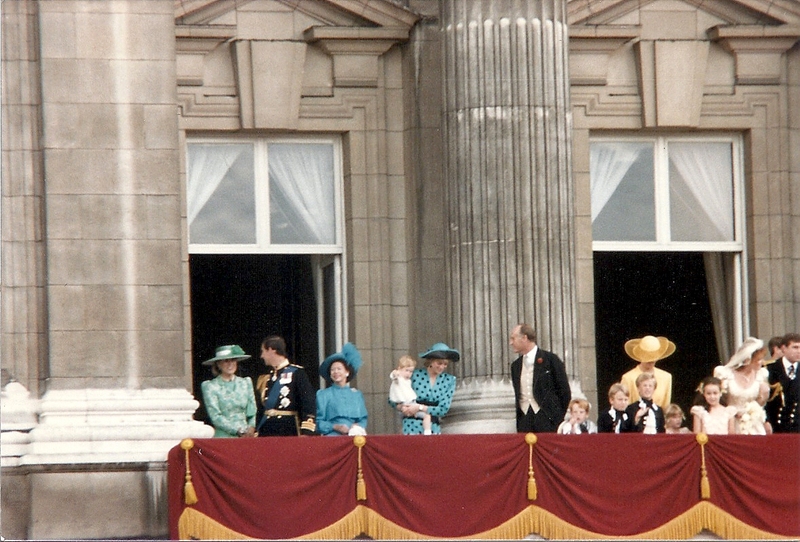 Daughter of architect Mark offered the Royal Family Gift in 2002, the plans and photographs of the construction that his father had kept in his office until the end of his life. On the evening of August 23, 1944, the German army bombed and destroyed the New House, the residence of the sovereign, a modest, upstairs building behind the Royal Palace (where the Palace Hall is today). In September 1944, when returning from the secret home of the village of Dobrita (Gorj County), King Mihai and Queen Mother Elena moved to Elisabeta Palace, with the permission of the owner of the building, who had the generosity of making them available they are in Bucharest. His sovereign and mother remained here until the morning of December 31, 1947. King Michael lived at Elisabeta Palace in days when he had official meetings in the capital. Otherwise, the sovereign stood at the Foisor Castle in Sinaia, where he had also private and official meetings, including Romanian politicians, increasingly hostile and inflexible, with a completely contradictory Soviet agenda to that of the sovereign. And free time he preferred to spend it all at Foisoare. On December 30th, at 15 o'clock, King Michael was forced to sign his abdication in an upstairs room. After the visit of Petru Groza and Gheorghe Gheorghiu-Dej, the king and his mother decided to stay at the palace that night, asked the civilian staff to go home, thinking that the life of the employees could be in danger, then took dinner and, the next morning in the last day of 1947, they took the road to Sinaia, with King Michael driving. None of them knew then whether or not they would ever see Elisabeta Palace or not. King Mihai and Queen Mother, who were in the Royal Train, left the country in Jimbolia on the night of 3 to 4 January 1948, after his Majesty had forcibly signed an abdication she had never recognized. At this point, the king would say later: "We went away with death in the soul." During the communist regime, from 1948 to 1989, Elisabeta Palace was held closed for a number of years, then turned into a protocol house. Few official guests lived in the palace. A Communist employee recalled his accommodation in the official dormitories of King Juan Carlos I and Queen Sofia of Spain, as well as Eric Höneker, the German Communist leader. Queen Mother died in Lausanne in 1982, when Romania was in a Ceausescu era, without having had a chance to return to Romania. King Michael stepped back to Elisabeta Palace for nearly five decades after leaving for exile on February 28, 1997, when the Victor Ciorbea Government invited him to live for five days at Elisabeth Palace. From the spring of 1997 until the spring of 2001, the Royal Family stayed several times at the Elisabeta Palace, paying their room, per night, as any hotel in the country. On May 18, 2001, King Michael and Queen Ana came back home to Elisabeta Palace this time. 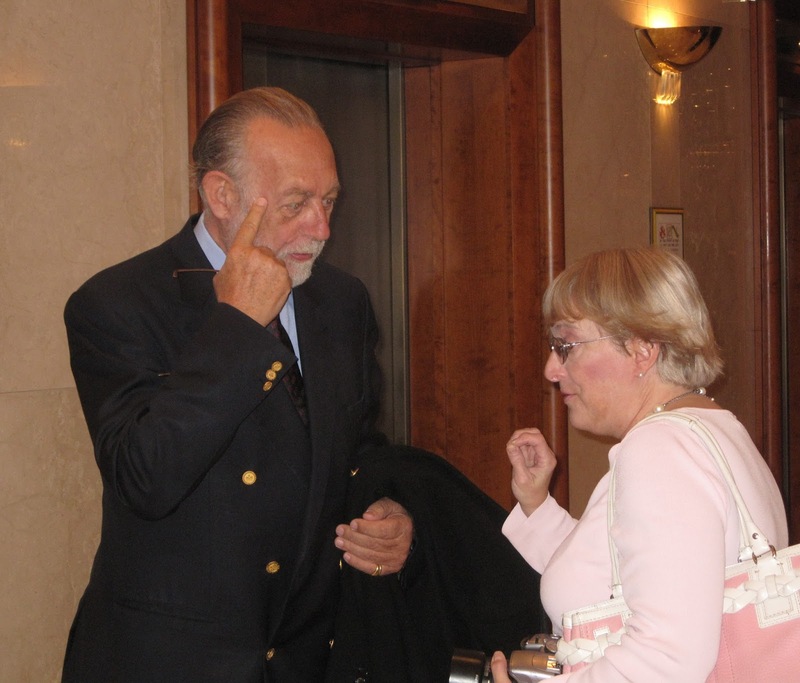 Two decades ago, the King returned to Elisabeta Palace to build Romania's irrevocable European foundation of tomorrow. The arrival of King Michael in his youth palace was not a late revenge of a man who had the destiny as the destiny. By the return of the King, Elisabeta Palace became the site of the kingdom on today's map of Romania. From within, the Royal Family began a constant effort, thought, like the future of Romania, for twenty-thirty years before. As a matter of fact, in 2007, the Royal Family published "A vision for Romania for 30 years". Elisabeta Palace was not, in fact, a "private" residence either in the 1940s or after 2001. Destined by law in May 2001 as the residence of King Michael I during his lifetime, the palace was for a while an active center of representing the country's fundamental interests. Every year, hundreds of public events took place at the Elisabeta Palace, bringing together thousands of Romanian and foreign people to consolidate the country and its reputation. Here all generations of Romanians have been found, from primary school children to war veterans. Here Romanians came from the cities and communes of the country, from Bessarabia, from neighboring countries and from the distant ones. Apart from a few strictly personal rooms, most of the palace was and is used for public events, just like the garden. Over the past 17 years, Republican state heads and crowned heads have passed the threshold of Elisabeta Palace, invited by King Michael I and later by His Majesty Margarita: King Juan Carlos I and Queen Sofia of Spain, Grand Duke Henri and Grand Duchess Luxembourg, Czech President Milos Zeman, President Vytautas Landsbergis of Lithuania (1990-1992), President Lech Walesa of Poland (1990-1995), President of Ukraine Victor Yuscenko (2005-2010), President of Latvia Vladis Zatlers (2007-2011) Sali Berisha of Albania (1992-1997), King Felipe VI and Queen Letizia of Spain (in 2009, as heirloom princes), several members of the Jordanian Royal Family, Prince of Wales, Prince Edward of Great Britain and Countess by Wessex, the heads of Imperial and Royal Houses of Bulgaria, Albania, Greece,Montenegro, Russia, Austria, Portugal, Germany, several members of the Royal Family of Belgium, the President of the Parliament of the Philippines, the President of the Parliament of the Republic of Moldova, members of the Czech Government, first lady of the Czech Republic Livia Klausova (2003-2013) Wade (2000-2012). The Palace hosted hundreds of meetings with world country ambassadors, evenings dedicated to promoting the Romanian economy (local and national), evenings dedicated to county and municipal local administrations, evenings dedicated to NATO, EU, Red Cross, social, medical, military, civil society, sports, education, culture and science, the Romanian Academy and the Academy of the Republic of Moldova. Garden Party, the national holiday of May 10, brings together thousands of people each year in the garden of Elisabeta Palace. It is one of the most loved and long-awaited moments of the year, for each of the Romanians taking part in the event. There has been a Garden Party of Children since June 1, for some years now. King Michael and Queen Anne offered the High Patronage of many universities, high schools, institutions and organizations in the last two decades of life. 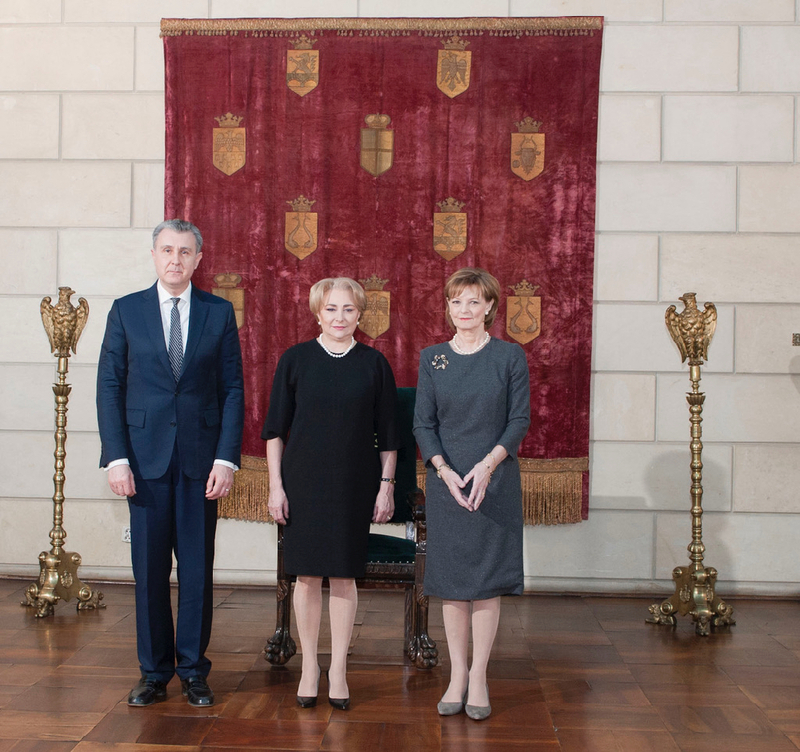 At present, Her Majesty Margareta, Crown Custodians, and Prince Radu, together with Princess Maria, have given royal patronage to dozens of institutions and organizations that come to come to Elisabeth Palace for their work to be better known and respected and supported by society. The largest sports organizations in the country, headed by the Romanian Olympic and Sporting Committee, have royal patronage. High schools, high schools and schools in the country and in the Republic of Moldova operate under the royal protection of Crown Custodian, Principal Radu and Princess Maria. Major city halls have a permanent supporter in the Royal Family. The economic missions abroad initiated by the Royal Family have first-rate results in the future economic activity of companies accompanying the Royal Family. Such economic missions took place in Great Britain, Sweden, Jordan, Bulgaria, along with economic meetings in 55 countries on 4 continents, at the initiative and in the presence of members of the Royal Family. Since February 1997, when King Michael and Queen Ana stepped into Elisabeta Palace and started in the first NATO royal tournament, 21 years have passed, in which the Royal Family has had more than 10,000 public activities in the country, 320 visits, with government support, abroad, had 114 meetings with heads of state outside Romania and 47 meetings with heads of state or heads crowned at Elisabeta Palace. The Royal Family is nowadays one of the most prominent and respected promoters of Romania in Europe and in the translatlantic space. The Royal Family has an uninterrupted diplomatic activity of 151 years, of which the past 21 years have been among the most intense and productive, especially in the European Union and NATO. 2018, the Centenary of the Great Union, began. At the same time, we are 11 months before Romania takes over the presidency of the European Union, a fact of historical importance for the country. In the course of this year and next year, the contribution of the Royal Family to the promotion of Romanian fundamental interests is of obvious significance.